Every other Wednesday morning I attend our hospice interdisciplinary team meeting. This meeting is one of the highlights of my week. Four years ago, we began introducing each discussion of new and current patients with that patient’s stated goals. I always make notes directly on the printed list of patient names provided at this meeting when certain facts and information about a patient catch my interest. Often, it is the patient’s goals that I write down. The goals are many and varied. A common goal is for the patient to stay in their own home. Other goals include family events such as attending a wedding or awaiting an upcoming birth in the family. I have heard goals including finishing a scrapbook, continuing to work on a classic car, taking a grandson to a basketball game, or traveling to see relatives. The personal nature of this way of starting the discussion of a patient’s status at the hospice team meeting places the focus precisely where it should be—on the patient. In an earlier blog, I discussed a speech I heard given by Dr. Eric Cassell, a former internist in New York City and a respected author. The speech moved me in many ways. In that speech, he described in a very convincing manner how a hospice patient could still have hope. One day I will write a post discussing that concept. For now, though, I will associate a hospice patient’s stated goals with another human emotion. Joy. When a hospice patient achieves his or her goal, that accomplishment may be the closest the patient has to experience relative joy in a world where positive emotions may be difficult. The current construct of Patient-Centered Medical Home, as dictated by the certifying entity, National Committee on Quality Assurance (NCQA) includes patient stated health goals as a requirement for certification. My clinic will be recertified this year and we are going through the process of discussing goals with patients and entering their goals into their electronic medical records, which will be followed over time. I am pleased that a new Medicare benefit started last month, January, 2015. It is the Chronic Care Management Program. This program allows Medicare payment for nonface-to-face coordination efforts for patient with at least two significant chronic conditions such as diabetes, heart disease and kidney disease that are at risk of causing the patient life changing effects within the next two years. The first step in this benefit is for the provider or health coach to sit with the patient and created a patient-centered care plan that include health goals. So far, I have eight patients enrolled in the new program. All of these efforts regarding patient-centered health goals will, in my opinion, provide better care for the patient. But my question for readers of this blog is whether this emphasis also improves the second major goal of health reform: Making health care more affordable? I sincerely believe that concentrating on patient-centered health goals will help decrease the overall costs for the healthcare system in several ways. First and foremost, the creation and continued maintenance of these goals will, for the patient, create buy-in and undoubtedly enlist the patient as a part of their own health care team. For years, we have known that a patient’s health care improves with the active participation of the patient. Smoking cessation, weight loss, and improving a patient’s mental health requires work, effort, and dedication by the patient; without it, these efforts are doomed to fail. So many serious diseases such as diabetes, atherosclerotic heart disease, and emphysema are tied to the correctable habits of patients. Better recognition of the tactic of identifying chronic health issues and working on health goals with the patient should prove to be beneficial. 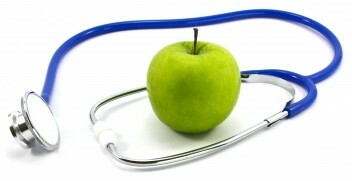 At my clinic, I differentiate health goals between those that are aspirational and those that are actionable. To explain the difference, I mean that the goals to lose weight or to quit smoking are goals of aspiration. I associate actionable goals as more strategic, such as walking more, eliminating bread from the diet, or trying a smoking cessation drug such as Chantix to quit smoking. These actionable goals will be re-evaluated by my health coach at the patient’s chronic care clinic visit and then reviewed when I see the patient. Second and equally important, I think health goals will reduce the costs of health care by continuing the dialog with the patient in relation to his or her chronic diseases. These conversations will, with time, undoubtedly lead to changes in aspirations because of the worsening of the diseases. Appropriate palliative conversations will be part of the process and lead to appropriate timing of the use of services such as hospice. Avoidance of useless medical efforts—medications, procedures, and imaging—certainly saves money and will come from the timely and appropriate change in strategy to palliative care. Finally, the Chronic Care Management Program benefit recognizes the stratification of different individuals based on their respective health care needs. We know through extensive research that the sickest minority of patients utilizes the majority of available health care dollars. Also, by subdividing this population, processes such as ensuring these patients are placed at a high priority when they call my clinic about problems and issues, will address those problems more quickly. By focusing extra efforts on this minority and especially in relation to health goals, the effort of stratification will save money by decreasing emergency room visits, decreasing hospital admissions, and decreasing hospital re-admissions. Next month I am giving a talk on including health coaches as a part of an effective, efficient health care team at a national meeting focused on Patient-Centered Medical Home in Philadelphia. I will spend some time discussing patient stated goals and what those goals add to my care of patients. Going back to our team hospice meetings, in addition to learning patient’s stated health goals, for new patients I also get their genogram–what, in essence, is their family tree–from one of our social workers. This graphic chart indicates a patient’s connection to their family members, such as spouses, children, parents, and extended family. The chart goes into detail about the patient’s profession and avocations, which family members are alive, and who is close personally and geographically to the patient. Sometimes it even included pets. The people mentioned in this chart often affect the patient’s stated goals. Sometimes, the goals are tied to the activities of these family members. Occasionally, the family members are necessary for the goals to be met. As a family physician, having practiced 21 years in Ames, I know not only my patients but usually, their spouses, children, and sometimes, their parents. Many, many times, family dynamics affect my patients’ physical and mental health. In a similar way, a new hospice patient’s family tree can begin to educate me on a patient’s family dynamics. In summary, I support not only the emphasis of patient’s stated health goals but also the value of placing these goals in the context of the patient’s support system. Health reform will improve from both a quality standpoint and an affordability standpoint with this focus. On a personal note, I mourn the passing of Father Theodore “Ted” Hesburgh, CSC, who was president of the University of Notre Dame from 1952 until his retirement in 1987. He was president when I was there from 1973 to 1977. When Father Hesburgh stepped down as head of Notre Dame he had the longest tenure, at that time, among presidents of American institutions of higher learning. In that year, the Memorial Library at Notre Dame was renamed for Father Hesburgh. Father Hesburgh was president of Notre Dame when, in 1959, active planning started for the new library building. From the initial planning, he wanted the library to be a visible statement of the importance of scholarly achievement. I never had occasion to meet him, but I have always had great respect for him. Several friends, as well as my daughter, met him and spoke warmly of him. He was a champion of social justice and was a role model for me in that regard. He supported the humanities on every level.The Great Books Program, from which I graduated, called him “a patron and protector of Great Books education.” Closer to Ames, I have had several patients who knew and spoke highly of Iowa State University’s former and longest-serving president, Dr. W. Robert Parks, particularly of his vision and support for the humanities. Dr. Parks served as ISU president from 1965 to 1986. The Parks Library bears his name in recognition of his commitment to the humanities. I sense that Father Hesburgh and Dr. Parks were cut from the same cloth.